Find out how you can rent a satellite phone. 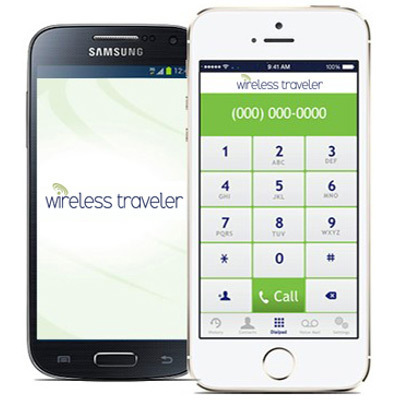 Wireless Traveler satellite phone rentals allow you to make and receive calls and text messages anywhere* in the world. Whether it is sailing, hiking in the mountains, trekking in the outback, fly fishing in Ecuador you need the Wireless Traveler satellite phone service to stay in touch. Wireless Traveler iridium satellite phone rentals are compact and very reliable. Slip your SAT phone into your pocket or backpack and have it ready to use whenever you need it. And all of this supported by our satellite expert customer support. You can rent by the week/month or for regular users buy a satellite phone and activate it when you need it. Order your rental phone by completing the form below and your order will be processed between east coast business hours. Want to find out more about renting or buying – feel free to call our satellite experts on 1-866-700-3883.